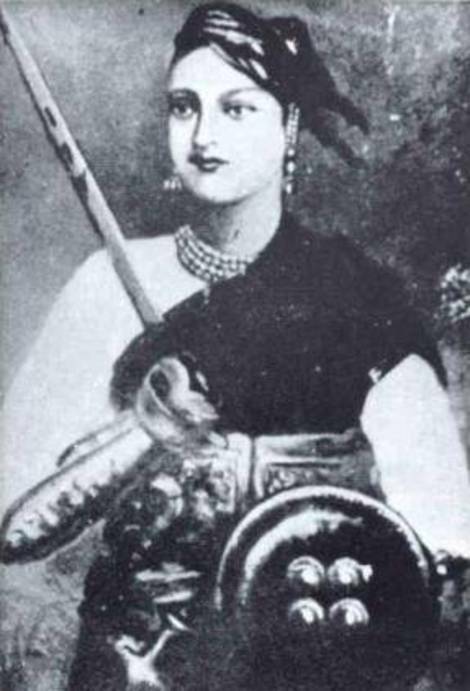 Rani Lakshmibai, the famous freedom fighter of India was born on 19 November 1828. She was named Manikarnika and her nickname was Manu. She was the Cousin of Nana Sahib and her birth mother died when she was just four years old. Lakshmibai’s father worked for a Peshwa in a court who adopted Manu as his own daughter and called her Chhabili. Lakshmibai was educated at home and was much more independent than the other children of her age. 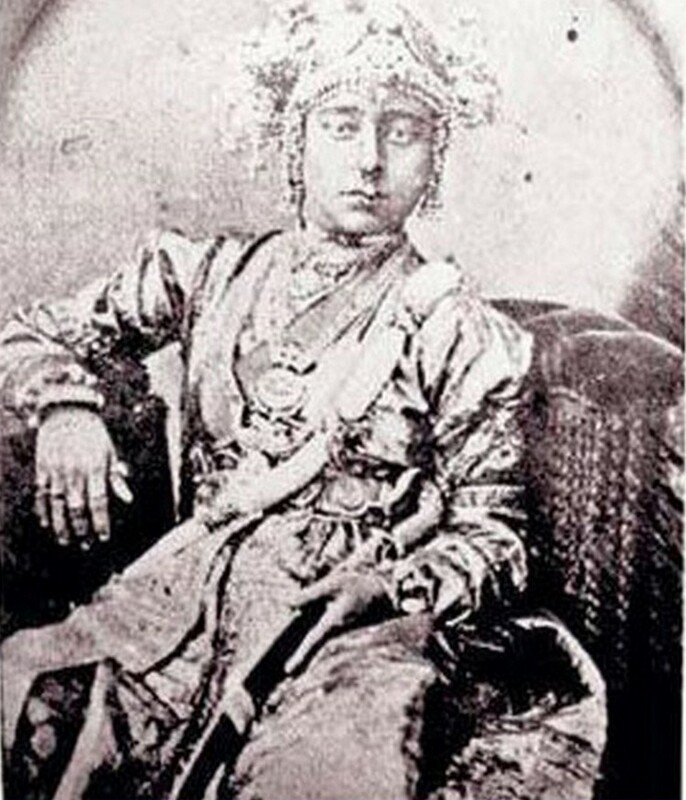 Manikarnika married the Raja of Jhansi, Gangadhar Rao. After marriage, Manu was called Rani Lakshmibai and this name was given to her in honour of the Hindu goddess Lakshmi. Lakshmibai gave birth to a boy who unfortunately died after 4 months and left the couple in grief. Then, Raja Gangadhar Rao adopted his Cousin’s son Anand Rao who was later renamed after his first child Damodar Rao. After a day of this baby boy’s adoption, Maharaja died. The child was adopted in the presence of the British govt. And the govt. officials were told to respect and treat the child equal to any royal blood. After Husband’s death, Lakshmibai was asked to leave Jhansi with a pension of Rs. 60,000 as they no longer had a ruler for the Kingdom. But she refused to the orders and announced to her people that she won’t give away Jhansi in the hands of Britishers at any cost. But, the Britishers wanted to expand their empire by defeating Jhansi and not accepting Damodar Rao as the future heir of the kingdom. The Rebellion of India started on 10 May in the year 1857 in Meerut. The Britishers acted as if they were supporting Rani Lakshmibai but the people of Jhansi were aware of their plans. Rani Lakshmibai asked the British officials to provide her with an army of strong people for her own security and the officials agreed to it also. Rani Lakshmibai organised a Haldi Kumkum event to assure the people that they are completely safe and the Britishers won’t harm them ever. But, after this ceremony, Lakshmibai started a revolt against the Britishers and tried to keep everything in control for a long period of time. Rani ruled her kingdom with peace till 1858 and didn’t let the Britishers interfere in any decision that was to be made for the people of Jhansi. An army of around 14000 rebels was built by her to save the place. The British army attacked Jhansi in 1857 and that was the time when finally, Rani and her army decided to fight with them. This war between the British army and the rebellions continued for around two weeks. Unfortunately, the rebellions lost the war and Jhansi was handed over to the British Army. After the long war, the British Army entered Jhansi and this was the time when Rani Lakshmibai fought bravely with her son Damodar tied on her back. The queen fought with two swords in both her hands. Rani Lakshmibai and the rebellions escaped from the fort to the fort of Kalpi to save themselves from the huge number of Britishers who were after their life. The Britishers and the Rani’s Army had a fierce fight at Gwalior fort and in these fights; the great freedom warrior Lakshmibai martyred her precious life on 17 June 1858.